On June 3rd, UNM Law School held its Scholarship Golf Classic and Walther Family Law was one of the event’s proud sponsors. Our sponsorship is important to us: proceeds provide three full-ride scholarships to UNM Law. Law school is expensive. 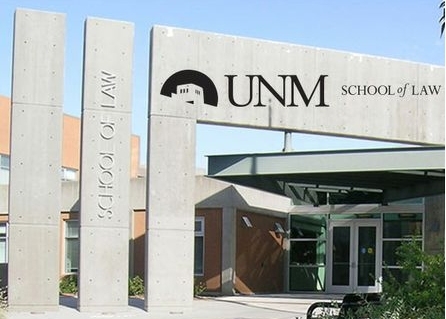 Even though UNM Law is consistently ranked as one of the best value law schools in the country, a law degree can still be out of reach for many qualified students in a state with a median income ranked 46th in the nation. Yet it is doubly interesting for New Mexico to have graduating Juris Doctors not saddled with enormous debt. It starts our young lawyers off on the right foot personally as contributing members of our state and enables careers path not entirely dictated by student loan debt, such as those in public service, government or collaborative law. My own law degree afforded me choices in life: choices ranging from economic (where and how I wanted to live) to philosophical (to what use could I be in this world). Sponsoring this event is a means to pay forward my degree and, hopefully, enable three new law students to do the same, in their turn.